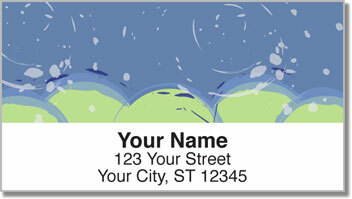 The design for this set of address labels was inspired by those deep questions that roll through your mind whenever you stare up at a starry night sky. What's out there? Who's out there? Many think that in a universe so infinite, it's highly unlikely that we are alone. Dreaming about what other world's might exist is exiting. What color is the sky? What's the landscape like? Even if you never know the answers - these questions will always be asked. But you do have an answer to the problem of preparing outgoing mail. 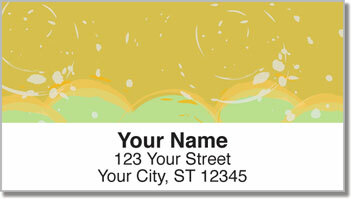 These self-adhesive labels make it super simple. Just stick them on anything you send! 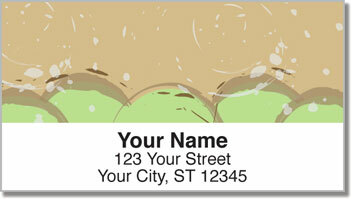 Get your own Another World Address Labels today! Complete your order with a set of matching checks.